I have super thick hair. Let me rephrase that - I have super thick, very stubborn hair. When you think of thicker hair you might imagine someone who has voluminous locks, but alas that is just not me. My thick tresses tend to lie limp, which is why I'm always on the lookout for an awesome volumizing spray. 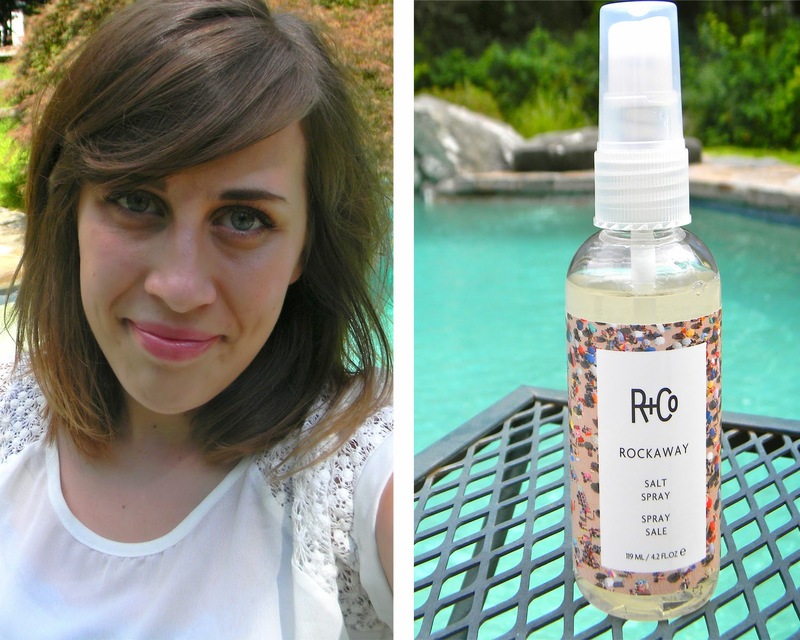 Enter the R + Co Rockaway Salt Spray. When I first saw the gorgeous, minimalistic packaging on the shelves of Space NK I was sold. Honestly, I didn't really care whether it worked or not. Luckily it ended up being fairly amazing. While one might think that salt sprays are intended to give you waves, this guy's strength is creating texture, volume and separation in your hair. A few spritzes of this amazingly scented gem and even my limp hair was given weightless volume and lift. This salt spray won't make your hair dry or crunchy, and it's packed with tons of beneficial ingredients that will have both short and long term positives for your hair. Just a few of those ingredients include yarrow plant extract (to increase hair's body and fullness), balm mint (to protect and prevent color fading), and vitamin C (to protect hair from free radical damage). The spray is also fraganced with Love Bite, one of R + Co's signature scents, a blend of orange, fig guava and amber. So if you're like me and would like to add a bit of volume and fullness to your hair, I suggest you take a trip to your local Space NK and give this guy a whirl.